If you are a busy person like me who juggles everyday tasks, chances are you're having a difficult time planning your "to do list". I would admit, I have tried different ways to make this work..I came up with a daily "To do list" which didn't work well for me as I normally forget about the tasks or I suddenly get occupied`with something else to do. I don't know but it's really hard to stick to your list, at times. Blame it to social media and cell phones who will keep on luring you to check with them once in a while. Probably, I would opt to listen to loud music powered by roland synth as I would definitely get away with it in a matter of minutes which is not the case when it comes to peeking in my social media accounts. I suddenly thought that sticking to your daily or weekly "to do list" would be a lot easier if you put this on display on the area where you normally pass every now and then. 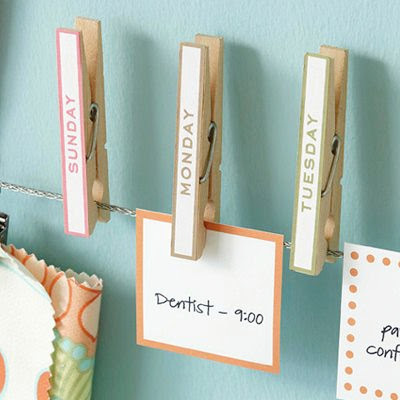 This idea of using clothes pin is cute and simple. Thanks to Vanessa Beaty for sharing this idea via Pinterest. 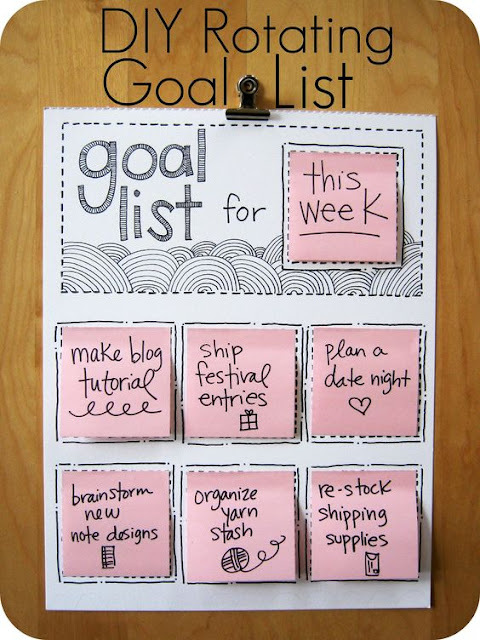 This goal list is very flexible, you can change the notes every week. I guess this is nice to be hung on the kitchen area where Moms like me usually hang around. I am tempted to make this one for myself. I am guilty of missing out on a lot of tasks and this is not good for someone who always love to be productive like me.